Sky-photo from our former house (1988). On top of the roof you see a platform, which made it so easy working on my antenna's!! 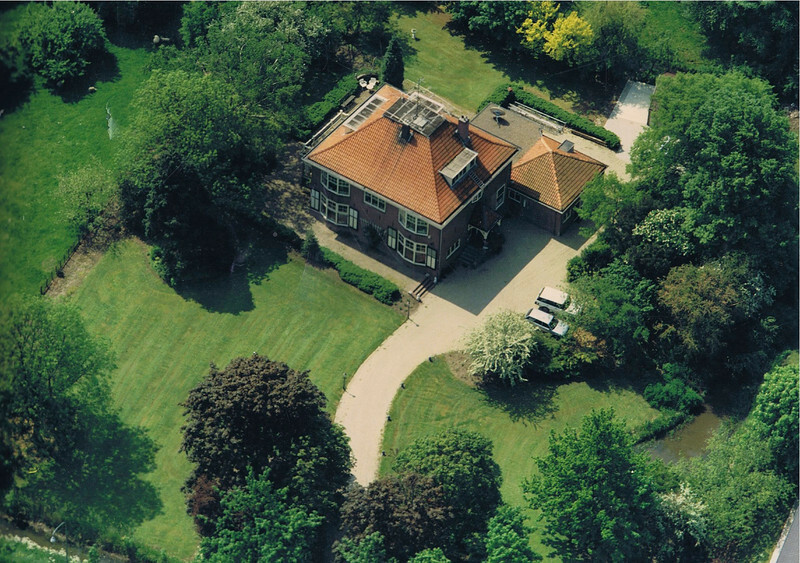 Notice the satelilte dish (150cm) on the flat roof at the backside of the house. We used it to watch the Gorizont satellite (Russian: Горизонт, Horizon, see: http://www.russianspaceweb.com/gorizont.html) launched in 1978. The russians used it to relay coverage of the 1980 Olympic Games from Moscow to the rest of their HUGE country. This satellite was originally launched for this sole purpose. Even local Dutch newspapers came to us to see what a satellite dish was all about.